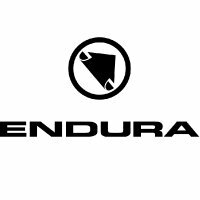 Endura Singletrack Plus Gloves combine lightweight all-year-round wearability (even in summer) with profound pressure-point padding. This padding cushions the hand, and not just from from vibrations transmitted through the bars. Padded palms can also save your hands if you suffer a spill off the bike. Like many mountain bike designs, Endura Singletrack Plus Gloves double up for general leisure / commuting / recreational riding too. The light suedette palm and the stretch mesh back make for a lightweight pair of gloves that will help deflect wind chill but won't overheat. The palm is gel padded to cushion pressure points. Terry brow wipe on back of thumb. The reinforced thumb crutch strengthens a 0.potential weak spot. Silicone print fingertips improve your grip on the brake levers. The E-SWIPE forefinger is touch screen compatible.